And I’m not talking about the kind you get from eating too many Christmas cookies (though that may be forthcoming, too). At the risk of sounding entirely obnoxious… It’s been over two years since I’ve been to Paris. We lived there for about two years; my first son was born there; I made friends from all over the world; I ate way too many raspberry tarts; I had a beautiful, international church family; I took long walks along the Seine with Mr. Pax; I wandered through Notre Dame; I strolled through glorious gardens… I relished life there. 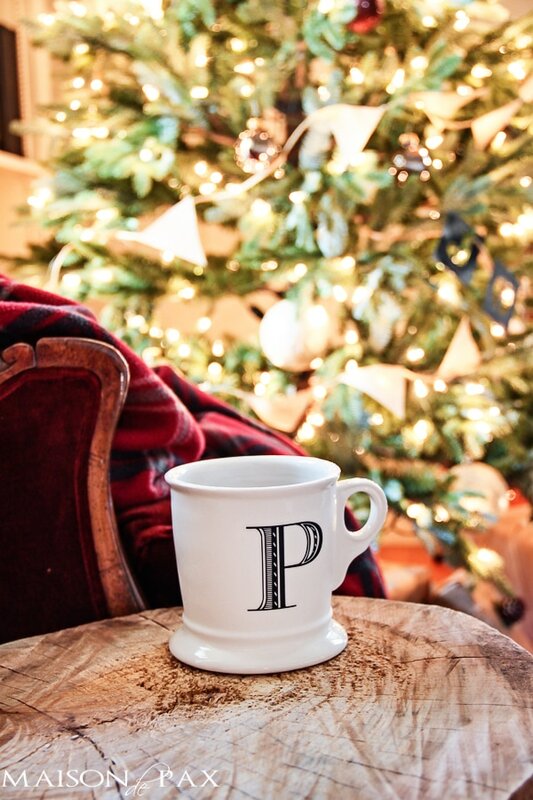 So this French Christmas tour is more than a fun blog hop (though it is certainly that, too); it’s a merging of two things very very special to me: my favorite city in the world… and my favorite time of year. 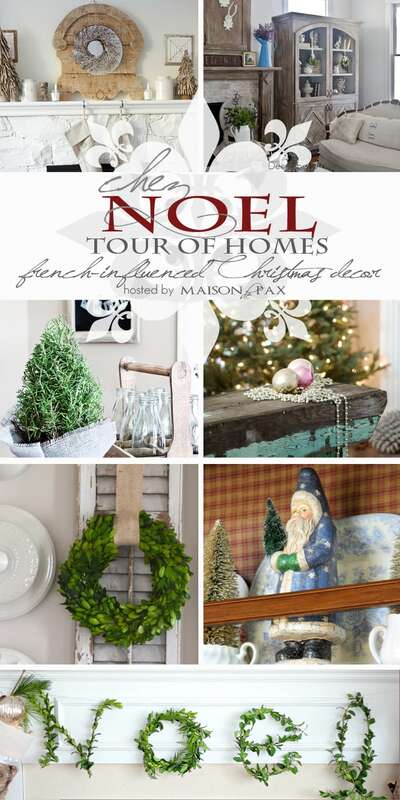 You can see French influence throughout my home on my Christmas home tour here. 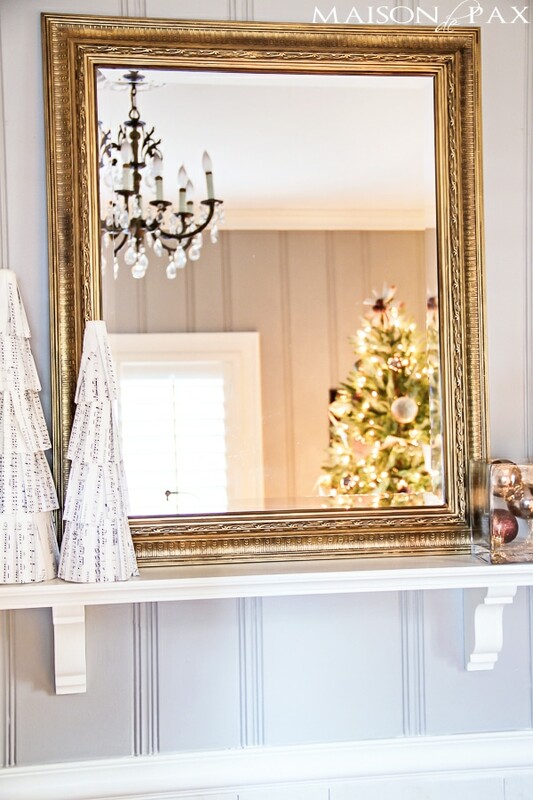 And you can see more of my French Christmas touches in the dining room here. 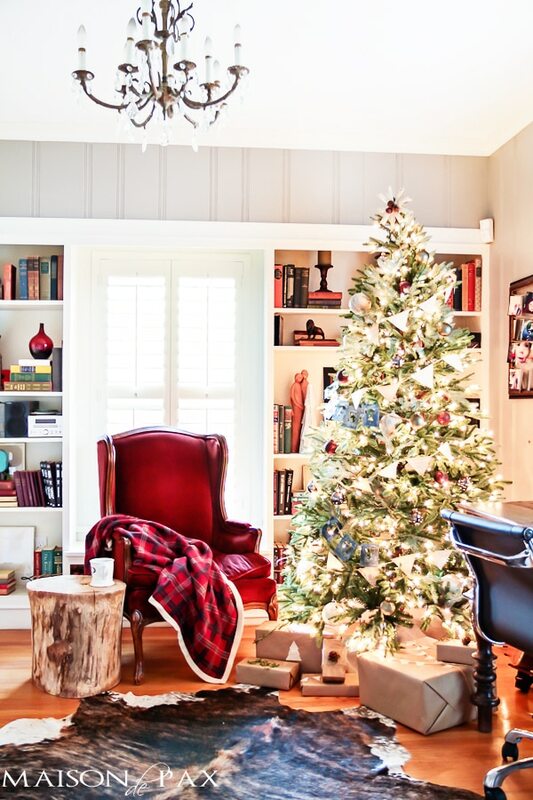 There were wood-framed velvet armchairs in the living room; they were a mustard color… but this red suits me better. And I couldn’t resist adding this rustic tree stump. We haven’t finished sanding and sealing it, but I’m sure we will eventually. 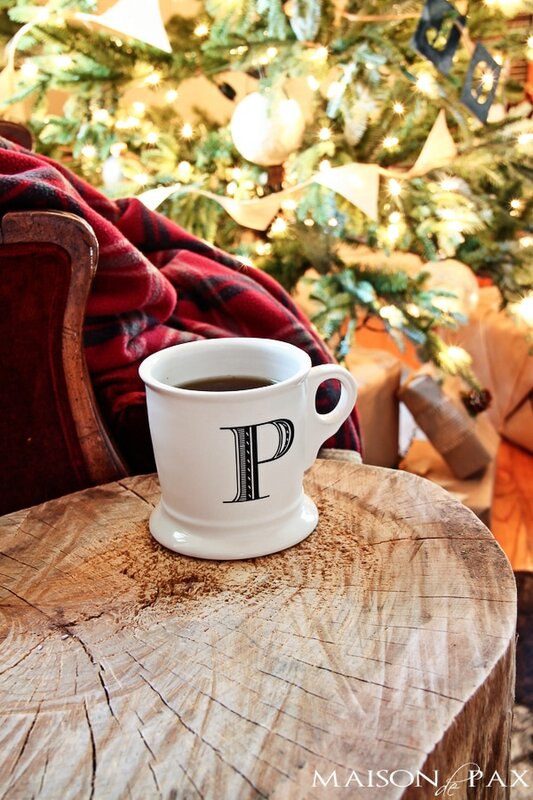 May your and your family have a joyeux noel! 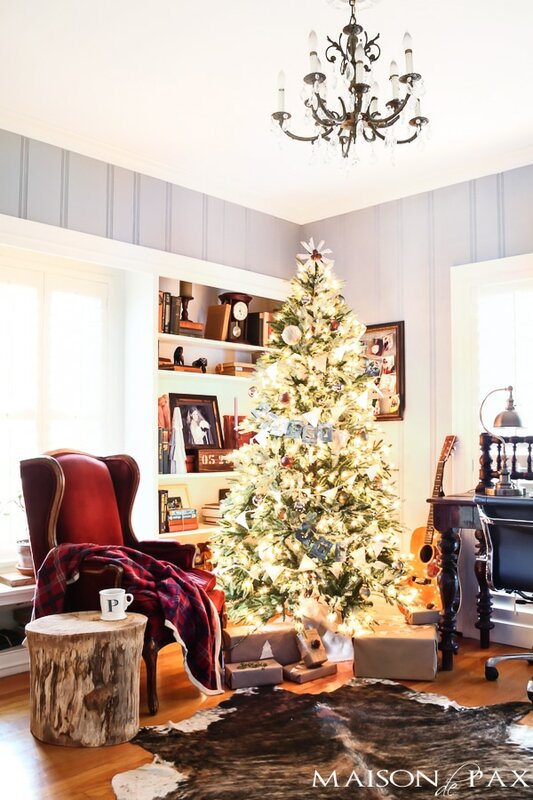 Be sure to come back tomorrow for my final installment of French Christmas, and don’t forget to visit the other blogs for more French-inspired holiday decor… Today, French Country Cottage is also sharing her incredible home. Rachel, this is such a pretty post visually and in words. Oh, how you must miss Paris so much. Through this whole post you literally had me at red velvet chair! Oh, how I love it. So thrilled to be joining you on this tour. Thank you so much, Kim! I do!!! So glad you enjoyed the post and so honored to have you joining me this week! Your home is wonderful! I have yet to go to Paris but it is the place my daughter and I will go when she graduates high school. Now to choose the time of year… any suggestions? Oh, dear… that’s tough. I love Paris in the springtime (it’s not a cliche – it’s wonderful! ), but I love to travel in the winter when there aren’t any crowds. There’s nothing like having world treasures entirely to yourself. I would avoid June-Aug if you can (which is, of course, the easiest time to go) because of the heat and crowds. Truly, though, Paris is Paris any time of year and absolutely worth going! Thank you for your sweet comment, by the way! Hello~! Oh, I love your home and Parisian touches! I would love to know where you attended church in Paris…my girl may be going there, and those things are hard to come by… thanks and blessings! Of course! We attended Trinity International Church (visit their website here). It was wonderful! I hope she has a glorious time if she goes. Merry Christmas! So pretty!! 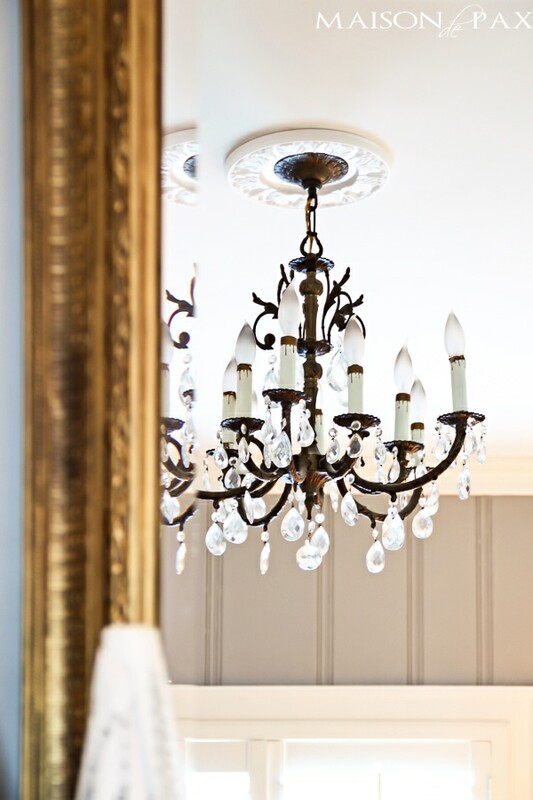 Love your French touches- everything is so charming it sounds like you absolutely loved being in Paris!! Thank you so very much, Courtney! You’re so sweet, Jamie. Thank you so much for being a part of this tour! Bisous! You are so kind, Anne. Thank you! it’s lovely and I can see why you miss Paris! I’m sorry your aching for Paris Rachel, but seeing your home for the holidays makes it feel so Parisian that you should’ve be aching so much anymore! 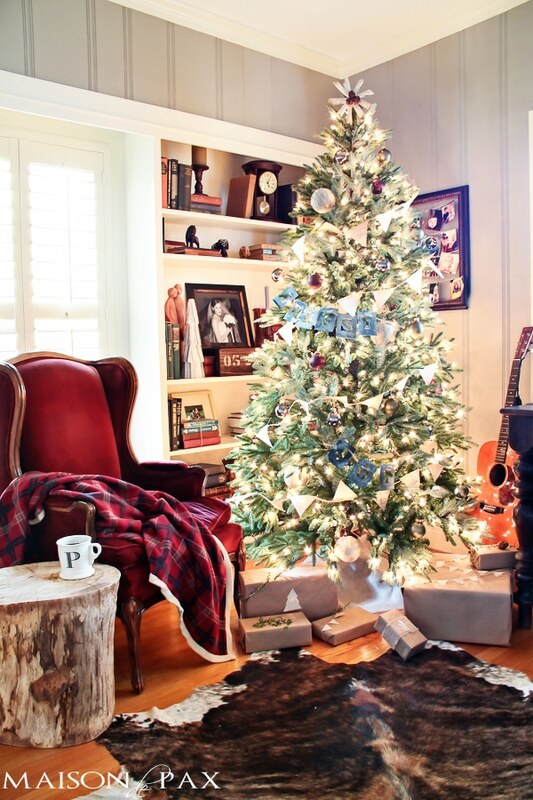 your home is so beautiful dear, hope you enjoy your Holiday season! I too love Paris. 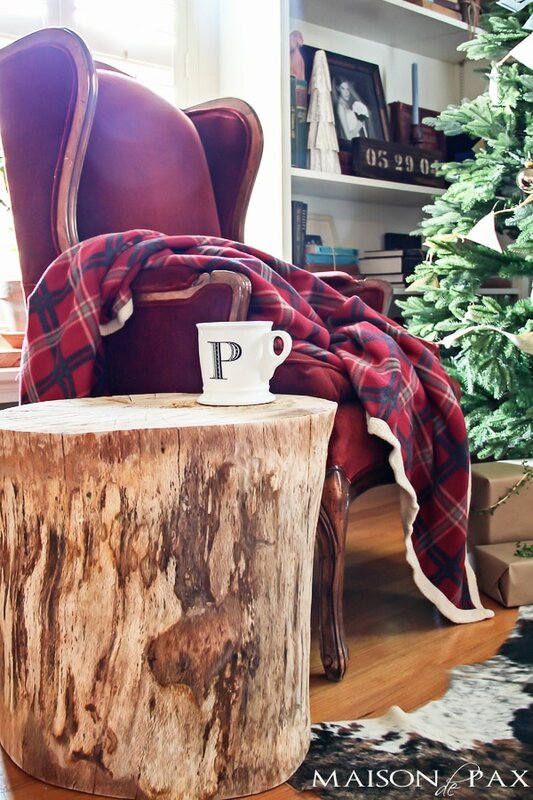 I love your chair next to the tree and that blanket is gorg. Happy Holidays…… I am a new follower! So glad to have you, Ron! Thank you so much! Loved the tour…everything looks so beautiful!! 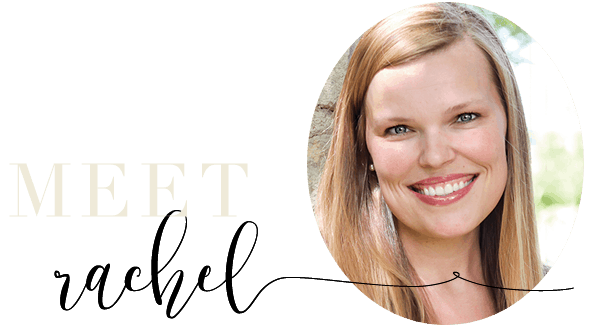 Rachel- everything is so beautiful! Hang on to those memories till you can get back! Doing my best, Laura! 😉 Thank you so much!! So lovely! You and my husband and your need to get to Paris! He is the same way, but since our first granddaughter was born in Germany last year and new one is due in Germany any day now, Germany has taken priority over Paris for the time being. Amazing how a grandchild can change your outlook on life. 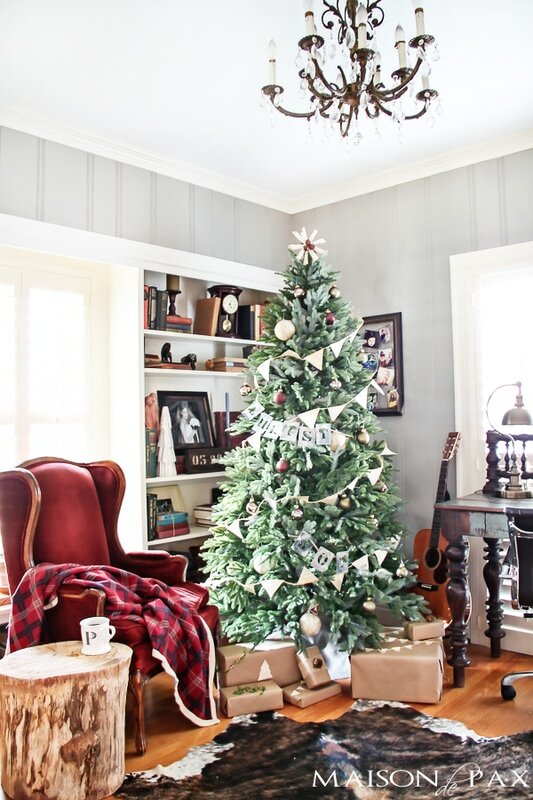 I am sharing a lot of links to bloggers’ Christmas House Tours and hope it is okay that I will share a photo and link back to yours, it is beautiful! I hope you get to Paris in the new year! Of course, Chloe! Thank you for asking – I’m honored. And, naturally, grandchildren have definite priority. 😉 Congratulations on the growing family and thank you for your kind comment! Joyeux Noël! Je ai apprécié votre photographie parisienne et culminant dans ce monde à travers vos yeux talentueux. Je suis au Texas et ainsi profiter de votre blog. Merci bien, Ellen, et bienvenue! 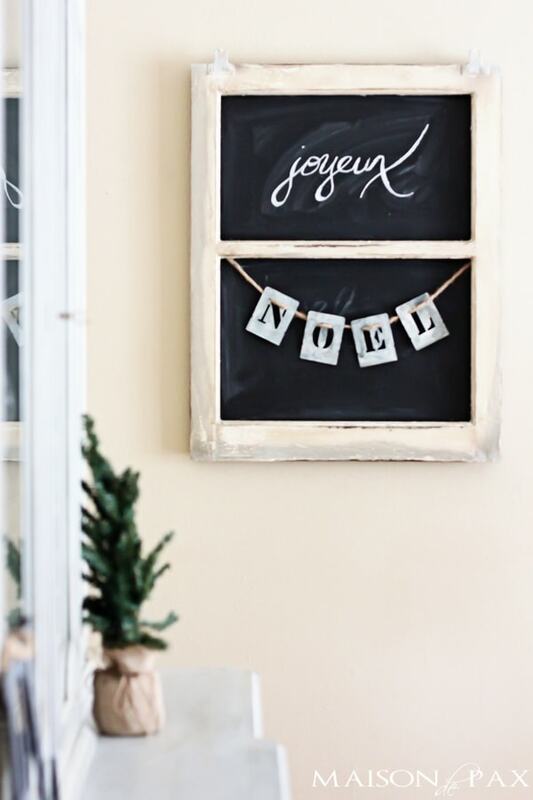 Joyeux Noel a vous et votre famille aussi. Hi Rachel! Oh my, what a magnificent home tour! Thank you so much for letting all of us enjoy your lovely French home! 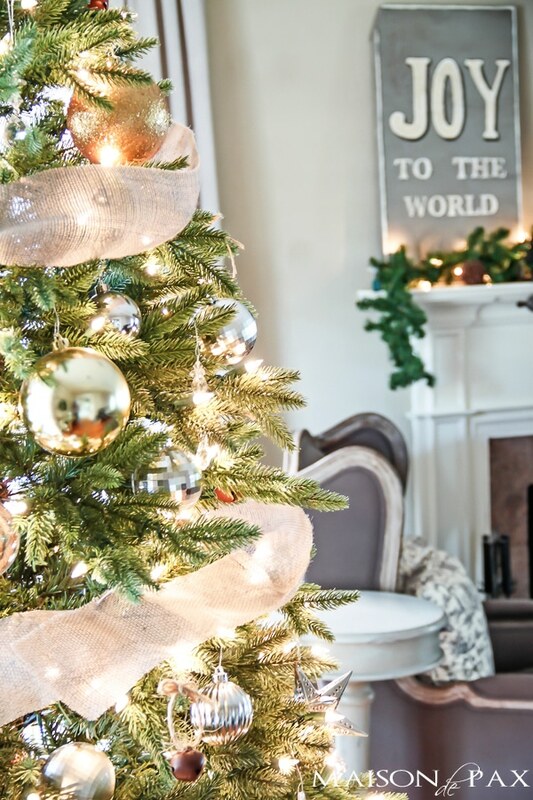 Your decorating is flawless and you are to admired for your hard work and perfectionism! You make me want to start all over! I found you through Yvonne’s lovely Stonegate and subscibed immediately after enjoying your blog! I’ll be back for your next posting and I can’t wait! Oh Lucy, your praise is FAR too high, but I’m so so very glad to have you! Welcome!! Oh, Lidy, thank you! Dieu est puissant, non? Merci biens, mon amie! 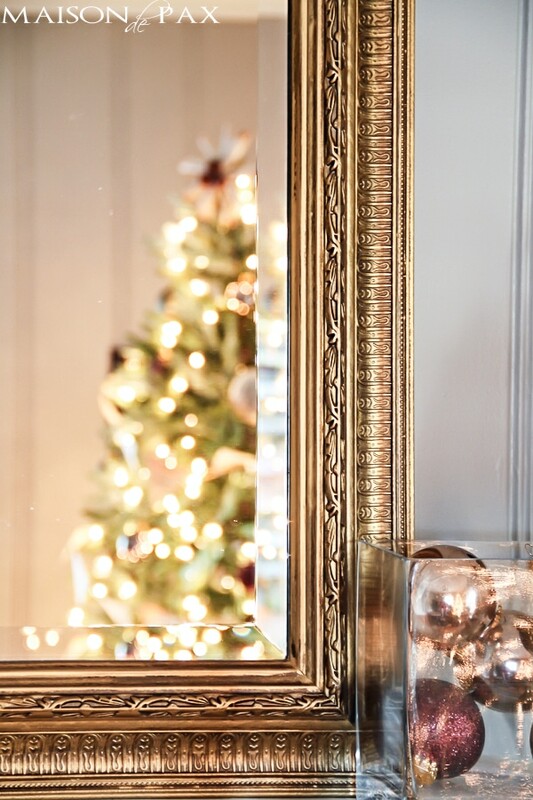 xoxo et joyeux noel! What a beautiful and meaningful post, thank you, it was a joy to read and a visual feast. Our worlds align in our design & style choices. Remember me? I was the one who had to have the gray clock! You told me where you got it and I waited patiently and nabbed mine. I love it! You are so kind, Cathy! And I’m SO glad you found the gray clock! You must have good taste. 😉 So glad to hear Paris was special for you, too… I hope you are able to return soon! I also hope your Christmas was wonderful and that you have a very happy New Year! Really beautiful. I’m enjoying the Christmas home tour. Thanks for sharing!